Lucrecia Pagán-Velazquez still has videos stored on her cellphone of what she witnessed when Hurricane Maria slammed into her hometown in Puerto Rico. 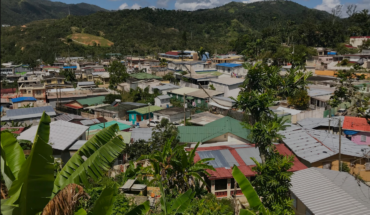 In one, muddy waters rush down from a mountaintop in Jayuya, a municipality in the mountainous central region of the island, and gush between cement block houses. After the storm, in the midst of an island-wide power outage, as food and clean water grew scarcer and many roads impassable, Pagán-Velazquez, 57, made the excruciating decision to leave her wooden home with its terracotta roof. She is now staying with her brother, Geraldo Pagan, a licensed mental health counselor, in Lawrence, Massachusetts, joining thousands of Puerto Ricans who have arrived in the U.S. mainland in the months since Hurricanes Irma and Maria. Faced with the sudden rush of Puerto Ricans fleeing the devastation, Lawrence and other cities on the mainland had to scramble, opening impromptu emergency centers and partnering with community agencies to provide evacuees with immediate, basic needs like temporary housing, food, medical attention, and clothing. But more than six months later, these same cities are now struggling to find long-term solutions that offer a chance for thousands of new residents to rebuild their lives. And with a new hurricane season underway, the situation could intensify. Lawrence, located about 29 miles north of Boston, is a historic industrial city of roughly 80,000 people. 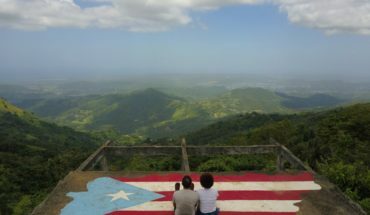 According to 2016 U.S. Census data, 77 percent of the city’s population is Latino although it’s unclear how many are Puerto Rican. After last year’s hurricanes, Lawrence saw a jump in people arriving from Puerto Rico. 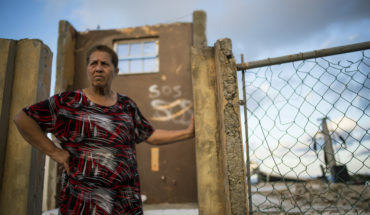 Martinez said some Puerto Rican families have gone from short-term housing assistance – shelters and hotels – to receiving Section 8 housing or housing vouchers. She added that some parents are also learning English and receiving job training skills that can help them secure a more solid future. Lawrence City Council President Kendrys Vasquez said the city is willing to provide services to people from Puerto Rico who arrived after Hurricane Maria. But those services are not always available. Unlike many new arrivals, Pagán-Velazquez did not seek out government support to help rebuild her life. She has her own underwriting business, Crosstown Searches & Filings, that she’s been able to operate in Lawrence. In Lawrence, organizations such as the Lawrence Community Service Center have become natural hubs for evacuees. Families filter in and out of the center, seeking out free clothes, bedding, and even furniture. On a Friday in April, a rack of puffy winter coats swayed in the wind just outside the red brick building. In the basement there was a couch for someone in need along with metal bed frames, boxes filled with children’s books, and clothes neatly hanging on racks against a long hallway. 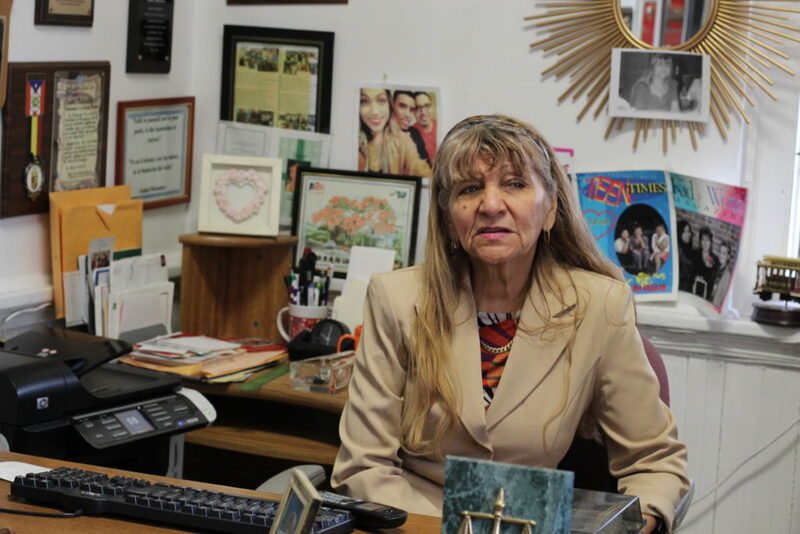 The center, run by longtime activist and Lawrence resident Isabel Melendez, also offers English classes and space for other social service organizations. Lawrence, known as “Immigrant City,” has a history of receiving new immigrants from Germany, Ireland and most recently the Dominican Republic. Between 1875 and 1910, the city’s population ballooned by 51,000 due to waves of immigration, according to Kathy Flynn, chief researcher at the Lawrence History Center. “In 1906, there was the development of a special school and that was for teaching non-English speaking students,” Flynn said as an example of the city’s response to earlier surges of newcomers. With the latest influx of Puerto Rican hurricane evacuees, Massachusetts state agencies are partnering to provide support, according to the office of Governor Charlie Baker. A career center has helped 1,000 evacuees find jobs. Gov. Baker filed a supplemental budget proposal that includes about $26 million for temporary cash assistance and support services to families with children and pregnant women with little or no assets or income. The supplemental budget also provides $2.5 million in a reserve fund that will help evacuees from Puerto Rico and the U.S. Virgin Islands, including paying transportation costs. In addition, in January the Commonwealth appropriated $15 million in FY18 local education funding to provide support to districts that have enrolled evacuee students. Over 3,000 evacuee students had enrolled in school districts across the Commonwealth of Massachusetts as of March 17. Alfonsa Fermin, 35, and Berkis Polanco, 50, both Dominicans who lived in Puerto Rico, traveled to Lawrence with their children after being driven out by the hurricane. Polanco, a mother of three, needed blankets for her new apartment. Fermin picked up clothes at the Lawrence Community Service Center that she had stuffed in two plastic bags. Fermin said she was forced out of Puerto Rico with her three children (ages 14, 10, and 4) after her home flooded and a tree fell on her car. They’re now all living in one bedroom. Polanco said her family has overstayed their welcome with a cousin in Lawrence. She wondered aloud how city residents can afford to live, adding that she and her son found part-time night jobs and are barely making ends meet. Polanco said she feels Lawrence lacks a place where people can come to orient themselves and learn where to seek jobs. But it’s the issue of housing that is most pressing in Lawrence and many other cities that have seen an influx of hurricane evacuees. As of April 9, there were 2,789 families from Puerto Rico staying in hotels across the country, paid by FEMA’s Transitional Sheltering Assistance (TSA) program. The TSA program is one of several short-term sheltering options being offered, allowing eligible disaster survivors to live in a hotel or motel for a limited period of time. Dabelko said in some ways it’s about being open to learn from new migrants. Meanwhile, most states are still grappling with the transition to long-term solutions. In New Jersey, the influx of Puerto Ricans arriving after Maria pushed Gov. Phil Murphy to create a Commission on Puerto Rico relief in February. The commission told South Jersey elected officials in March they estimated more than 60,000 Puerto Rican evacuees had arrived in the state and about 866 Puerto Rican children had enrolled in state schools. “Some of the biggest challenges are getting the documents that they could bring with them so they can do the driver’s license, so they can do the kids’ registration,” New Jersey State Senator Nilsa Cruz-Perez of Camden said. She said her fear is that, in June, hurricane season will start again. Philadelphia received more than 900 displaced families from Puerto Rico since the hurricane ravaged the island. The city opened a disaster assistance service center in October, but then closed it in December. In March, a group of non-profit and religious organizations and city agencies created the Greater Philadelphia Long Term Recovery Committee, as part of a regional branch of the National Association of Voluntary Organizations for Disasters (VOAD), to help evacuees integrate as Pennsylvania residents. Florida received more migrants from Puerto Rico than any other state. Florida schools saw more than 11,500 new students from Puerto Rico since Hurricane Maria hit, according to data provided by the Florida Department of Education on February 6. Florida’s Division of Emergency Management – at Gov. Rick Scott’s direction – continues to work with local, state and federal partners to ensure individuals and families impacted by last year’s storms have the tools needed to successfully recover, said communications director Alberto Moscoso. The division opened two Multi-Agency Resource Centers (also known as MARC), one in Orlando and one in Miami, to provide services to tens of thousands of people. At the Orlando MARC alone, the division and its partners served more than 34,000 individuals impacted by Hurricane Maria. The centers have since closed. In Worcester, one of several Massachusetts cities with long-established Puerto Rican communities, officials have been working hard on both short- and long-term solutions for evacuees from the island. City Councilor Sarai Rivera said officials gathered early on because they anticipated an influx of new arrivals. They connected with agencies and other departments to organize resources to meet short-term needs. “We ended up creating these subcommittees,” recalled Rivera, adding that there was a subcommittee for housing, the workforce, education, and more. Job fairs were also organized specifically for evacuees to find employment opportunities. According to Rivera, four or five fairs have been held since last fall. But asked if the city is planning for the impact of future hurricanes, Rivera said for now officials are just focusing on the current group of newcomers. 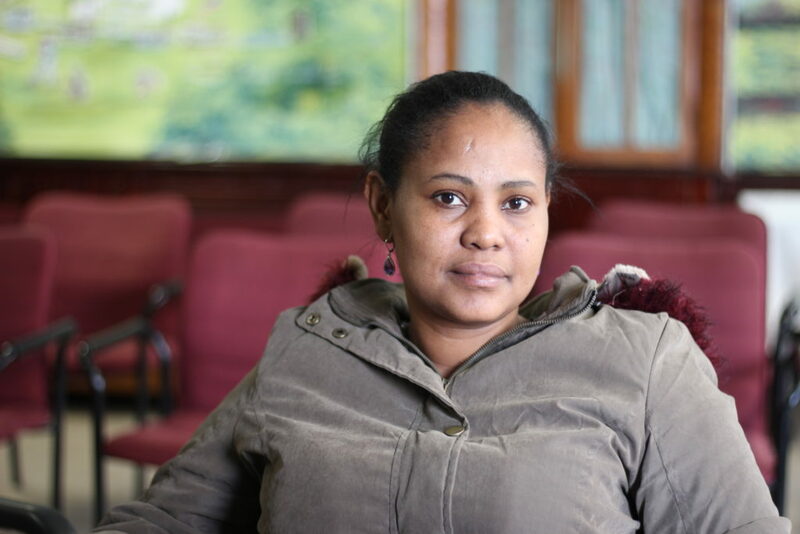 Meanwhile in Lawrence, Lucrecia Pagán-Velazquez reports that she’s adapting “little by little” to her new life on the U.S. mainland, and she’s grateful for the opportunities presented to her everyday. She plans to return to Puerto Rico when the time is right. But it’s unclear when that will be.